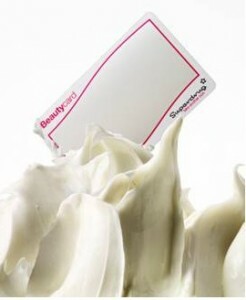 High-street health and beauty chain Superdrug have announced the launch of it’s first ever loyalty card – The Beautycard. From the 11th May Superdrug customers will be able to pick up the new loyalty card which can be used to earn points when shopping either online or in-store. Similarly to the Boot’s advantage card, Beautycard owners will receive special seasonal offers and will be able to redeem their points against products online and in store. In a new twist, Superdrug will also be allowing customers to select their favourite brands on which to collect extra points during special promotions. The card will offer one point for every pound spent and every 100 points will equal a pound that can be spent in store. To celebrate the launch customers can earn 50 bonus points on every £5 spent on Superdrug own brand products (until 7th June), will receive 10 points per pound on online shopping (during the same period) and there will also be numerous other promotions and opportunities to gain additional points. On a side note, the card also doubles up as a mirror giving it that extra handbag appeal and making it the perfect accessory for trying out testers in-store. Not sure how the men will feel about carrying it in their wallet though!